The Website content is owned and controlled by SLT and unless otherwise agreed in writing, all materials on the Website, including text, images, graphics, information, content, illustrations, designs, icons, photographs, video clips, sounds, music, artwork, computer code and other materials are owned, controlled and licensed by SLT. We reserve the right, at any time in our sole discretion, to: modify, suspend or discontinue the Website or any service, content, feature and product offered through the Website, without notice. 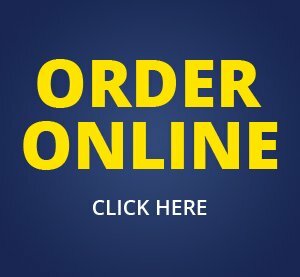 Orders cannot be cancelled within 48 hours of delivery. A cancellation fee may apply. Due to the nature of our product, we cannot offer a return or exchange. It is your responsibility to choose your turf variety carefully. Payment methods accepted on this Website includes Visa and Mastercard debit and credit cards. Credit or debit card payments shall be subject to authorisation from Customer’s credit card issuer and such authorisation must be received by SLT prior to order acceptance. Orders are not binding unless payment has been received and order has been accepted. Our turf is backed by Lawn Solutions Australia which comes with 10 Years warranty. Please visit the turf warranty page for more information. When purchasing from the Website, your credit card details are transmitted through a secure server using the industry standard protocol known as Secure Socket Layer (SSL). Your credit card data is not stored by SLT after processing. Additionally, by using this Website, you acknowledge and agree that Internet transmissions are never completely private or secure. You understand that any message or information you send to the Website may be read or intercepted by others, even if there is a special notice that particular transmission is encrypted.